Water is a vital component of our lives. Without it, our survival would be jeopardized. As indispensable as it is, there are situations in which water can be a serious problem. We are referring to instances of excess water, such as a flood due to a leak in the piping or a natural disaster. 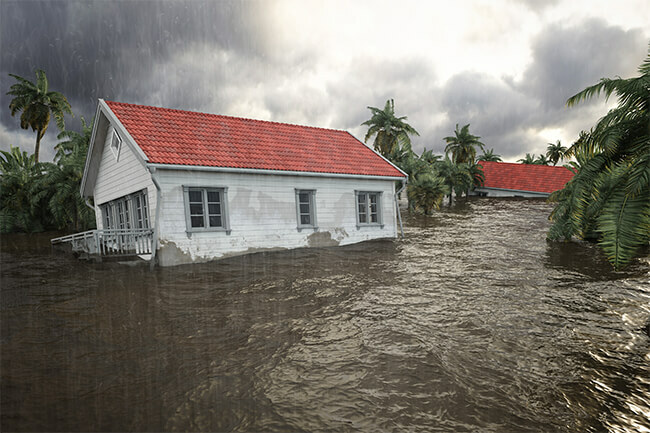 A flooded house is an issue that needs to be resolved quickly and thoroughly. And this is exactly where water damage experts such as Emergency Home Solutions prove invaluable – providing reliable restoration and remediation services. Emergency Home Solutions specialize in resolving water-related problems, ranging from plumbing services such as leak detection and repair and structural repairs to thorough water damage restoration, mold inspection and removal. Our water damage Lake Forest experts have been serving the residents of Lake Forest, Tustin and neighboring areas for over 15 years. Our track record and reputation for excellence are unrivaled in Orange County, CA. Our water damage Lake Forest technicians have the relevant qualifications and experience to undertake a variety of water damage restoration projects, small and large. Equipped with state-of-the-art tools and equipment, they are able to detect the source of water damage and fix it with minimum inconvenience to you or your family. Modern inspection and restoration equipment makes sure that the work we do is minimally invasive. If structural repairs are necessary because water has damaged the drywall or the house’s foundation, our technicians perform them flawlessly the first time around. The combination of skilled water damage technicians and modern equipment is what yields the best results. You can rest assured that any water damage issue you experience in your Lake Forest home will be handled swiftly and thoroughly with EHS. Water damage rarely happens when you expect it. A sudden pipe burst or a natural disaster can leave you knee-deep in dirty water that needs to be removed immediately. What’s more, after the water is removed, your possessions and property have to be properly restored – dried and repaired or replaced, if the restoration would prove futile. Experienced water damage Lake Forest professionals at EHS are here to fix any and all issues you have with water, from a simple pipe burst to complex repairs and restoration in your Lake Forest home. We operate a round-the-clock emergency hotline so you can reach out to us any time, day or night. We will dispatch a team of seasoned technicians to your home as soon as possible and fix the issue on the spot. EHS prides itself on providing customized solutions to residents of Lake Forest, CA. We realize that the scope of the issue may be more extensive than it seems at first, so we leave no stone unturned in securing your safety after a water-related emergency. Water damage in rancho santa margarita often goes hand in hand with a mold outbreak. If the water is not removed properly, or your possessions aren’t dried properly, there is a high risk of mold development. The greenish-black fungus can prove harmful, especially if left untreated. That is why technicians at EHS conduct a thorough post-restoration inspection to make sure any traces of mold are detected and removed. EHS has a portfolio of satisfied customers in Lake Forest and throughout Orange County. Our customers rely on us for quick turnaround time, impeccable service and business integrity. In case water damages in laguna niguel your possessions or property in general, we are here to lend a helping hand and restore your home to its original state. Give us a call!